I have to confess I am just a little bit in love with Thomasina Miers' Mexican Food Made Simple. There are so many simple and tasty recipes, I just have to try them all. In fact I'm now guilty of behaving like the husband and saying 'I don't want that for tea' (or lunch in this case) just so that I can have something really lovely instead. Today's lunch was Torta - the Mexican club sandwich and a fab way to use up some more of those lovely Unearthed Mini Cooking Chorizos. I'm in love with them too. Apparently Torta is 'not for the faint-hearted'. I consider myself made of hardy stuff. And it's far nicer than the traditional club sandwich - I'm sure it's all to do with the gorgeous salt-spicy taste of the chorizo and the buttery avocado which compliments it so beautifully. The only point of note is to make sure you have really big rolls otherwise everything just falls out! Slice the chorizo up into bite-size pieces that can easily be grilled, unless you are cooking them outside on the barbecue, in which case grill the sausages first and then slice them so you don't lose precious pieces in the fire. Heat a griddle or frying pan until smoking, add the chorizo and cook for a few minutes a side until it is looking good and crispy. Remove to a plate and cut the buns in half. Brush both sides of the buns with the chorizo fat and a little extra lard or oil if you think they need it. Toast on the grill pan on both sides. 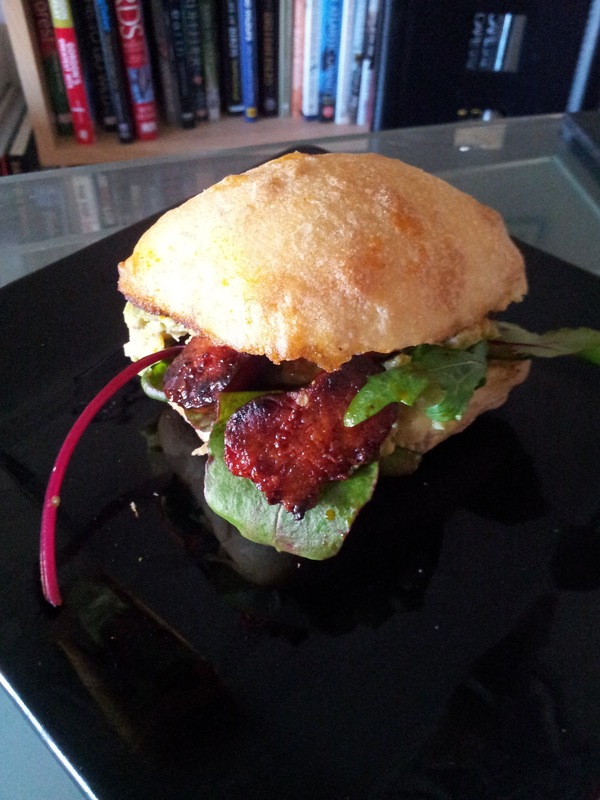 Smear one half of the buns with refried beans and top with the avocado, red onion, tomato, chorizo and lettuce. Smear the other half in the mayonnaise and press down firmly. Eat at once, preferably doused with healthy amounts of salsa.